Keep moving forward on your personal faith journey with this inspiring new devotional journal. Inside My Faith Journey you'll discover a full year of spiritual activities, designed to help you to grow with God week by week. Gifted artist Robin Pickens provides 52 beautiful line drawings, based on Scripture verses and uplifting messages, ready to color with markers, gel pens, colored pencils, or watercolors. 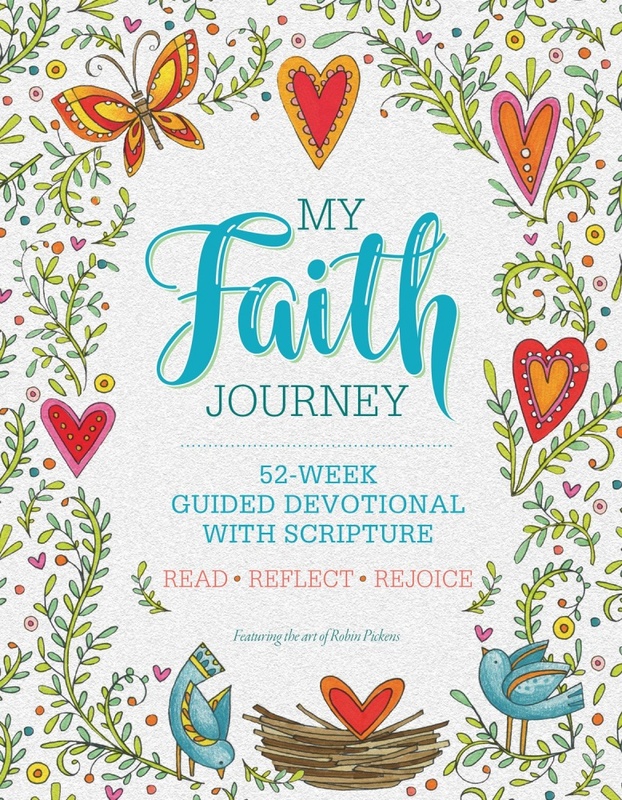 Each illustration is accompanied by insightful prompts that will guide you to reflect on what faith means to you, and the role that God plays in your life. You'll find plenty of lined space to write, and opportunities to pray, in this finely crafted journal.